Tonight! ALL NEW Season Premiere of Black Ink Crew: Chicago Season 4 at 8PM on VH1 #BlackInkCrewCHI #BlackInkCHI ~ Phresh Hott New! 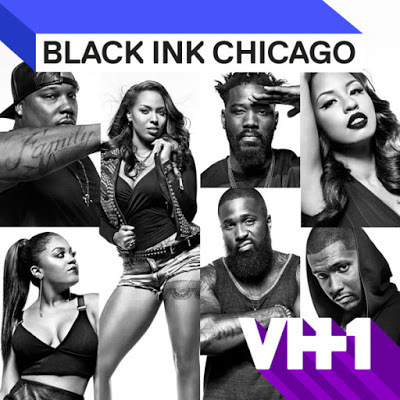 On today episode all new season premiere of Black Ink Crew: Chicago, “The Takeover Begins” After Kat’s banishment, Ryan has disappeared. 9 Mag grapples with the new status quo. Phor plays the biggest show of his rap career. A snapchat video finally makes Ashley leave Don. Van tries to keep his temper in check as Ryan drops a bomb on 9 Mag. Extended Sneak Peek - 9MAG Family Members Go Their Separate Ways on the Season Premiere…… Look below as several weeks after Ryan's dramatic departure from 9MAG, everyone is moving in different directions, including Charmaine and Phor, whose music careers are taking off.